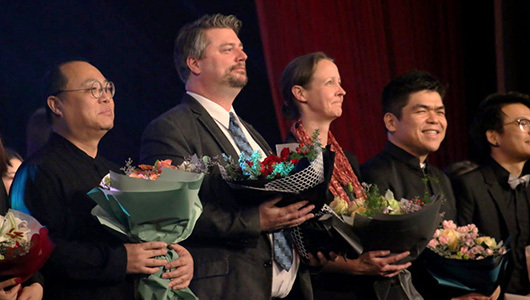 Three WSU music faculty who traveled to China in late 2018 hosted an rising Chinese composer at WSU Pullman this spring as part of a new West Meets East scholarly exchange program aimed at bringing Asian musicians to WSU and bringing WSU musicians to Asia. The Office of the Provost has selected Maureen Schmitter‑Edgecombe, professor in the Department of Psychology, to deliver this year’s Distinguished Faculty Address. 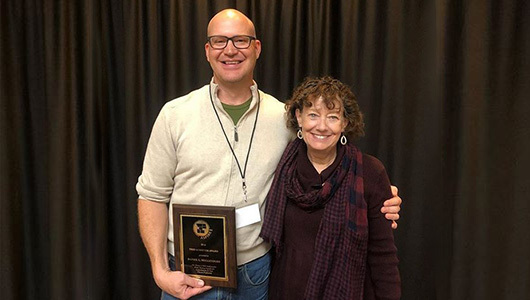 Five other College of Arts and Sciences faculty have also been selected to receive 2019 Showcase awards. 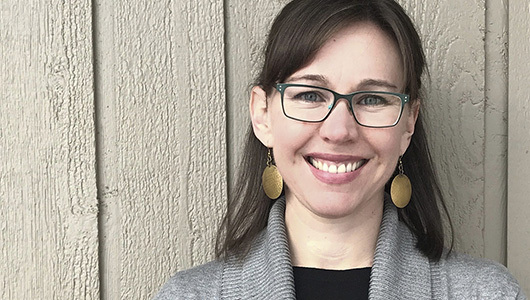 Anna Plemons, a clinical assistant professor of English, has been selected as the 2019 WSU Woman of the Year. Plemons teaches classes on the WSU Pullman campus in composition, rhetoric, and digital technology and culture. Additionally, she is the director of the Critical Literacies and Achievement and Success Program (CLASP) for the College of Arts and Sciences. 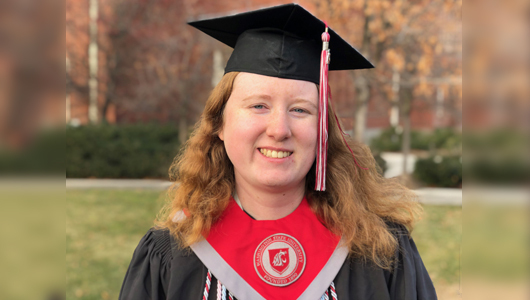 Emily Austin, a WSU sophomore and zoology major, says the accelerated Honors Veterinary Medicine program was one of the main factors that drew her to WSU. 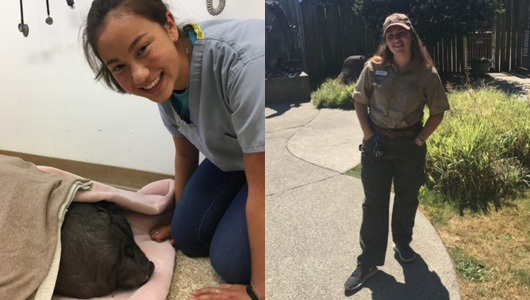 The College of Veterinary Medicine and the Honors College have partnered up to provide an exceptional opportunity for motivated undergraduate students who are dedicated to a profession in veterinary medicine: through early admission to the DVM program, students can become a veterinarian in just seven years. 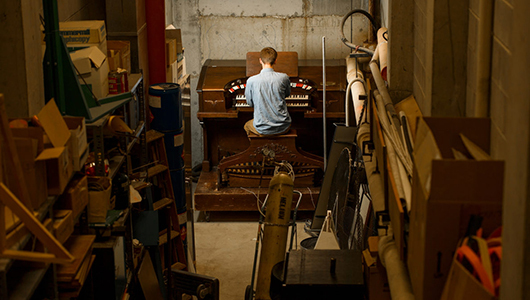 Thomas LeClair, a biology and music double major, is trying to fix a 91-year-old theatre organ languishing in the basement of the Webster Physical Sciences building on the Pullman campus. LeClair learned about the instrument while thumbing through old files in the WSU Libraries Manuscripts, Archives and Special Collections. 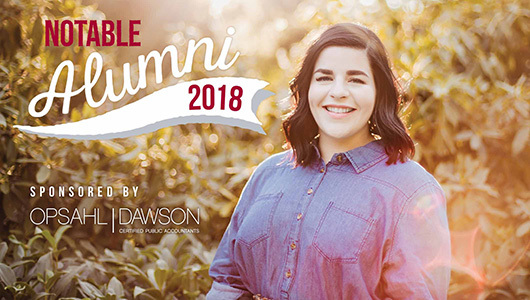 Ashlyn Salzman has packed a lot of experiences and accomplishments into her 25 years. 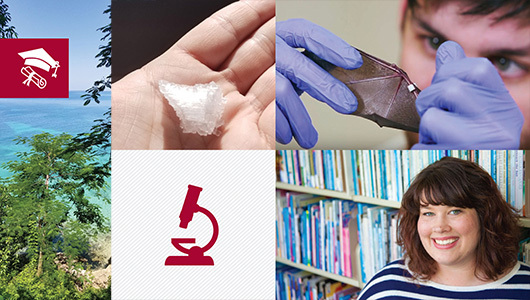 Alyssa Sperry’s research for her University Scholars Honors thesis on the history of salt in Jamaica earned her the Library Research Excellence Award for 2018. It also changed her life. 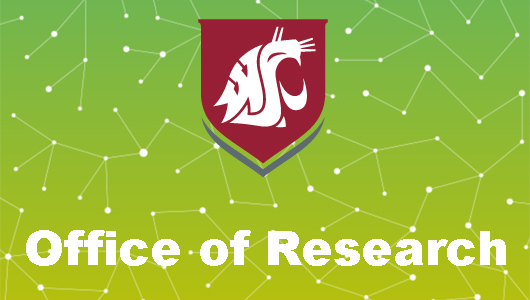 As part of opening ceremonies for WSU Research Week, the Office of Research presented awards to three College of Arts and Sciences faculty members for their outstanding achievements in research.